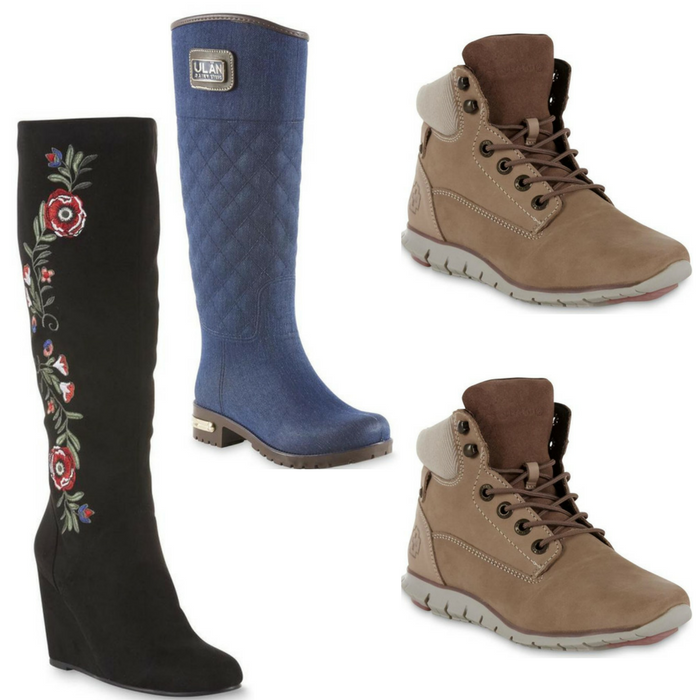 Women's Boots Just $13.74! Down From $70! PLUS FREE Shipping! You are here: Home / Instagram / Women’s Boots Just $13.74! Down From $70! PLUS FREE Shipping! Women’s Boots Just $13.74! Down From $70! PLUS FREE Shipping! For a limited time only! Hurry over to Sears where you can score Women’s Boots for just $13.74 down from $69.99 PLUS FREE shipping after cash back! Want to know what a Personal Shopper is? – First of all, it’s a FREE Service – yay! Each Shop Your Way member can have their own personal shopper. Shop Your Way Rewards periodically sends out coupons and FREE Surprise Points = FREE Money in your email. When you sign up to have me as your Personal Shopper you are able to reach out to me directly and ask any questions you might have. You can text me to help you with anything you need to help make you shopping experience rewarding at Sears or Kmart! Sign up right now for FREE and add me as your Personal Shopper! Are you new to Shop Your Way? Shop Your Way is FREE to join. It is a rewards system you can use at Sears and Kmart. You can earn points on your purchases that can be used as cash on your future purchases! Basically they are paying you to shop with them! Click here to sign up now for FREE and start making money on YOUR purchases!